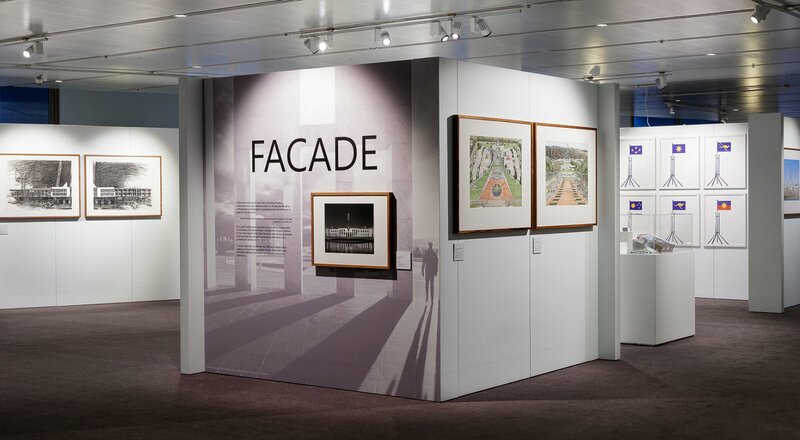 To celebrate the 30th anniversary of Australian Parliament House Ken Done joined a group of fellow contemporary Australian artists in the Façade exhibition, paying homage to the architectural design of one of Australia’s most iconic structures. Exhibited in the Presiding Officers Exhibition Area at Parliament House Ken chose to use the distinctive flagpole to explore Australia’s political past and future. Ever an advocate for a new and more inclusive Australian Flag, Ken’s designs are symbolic of a contemporary, multicultural Australia.